I recently went to the Terracotta Warrior Exhibit at the Franklin Institute and saw an interesting bronze sword (the only one there...). 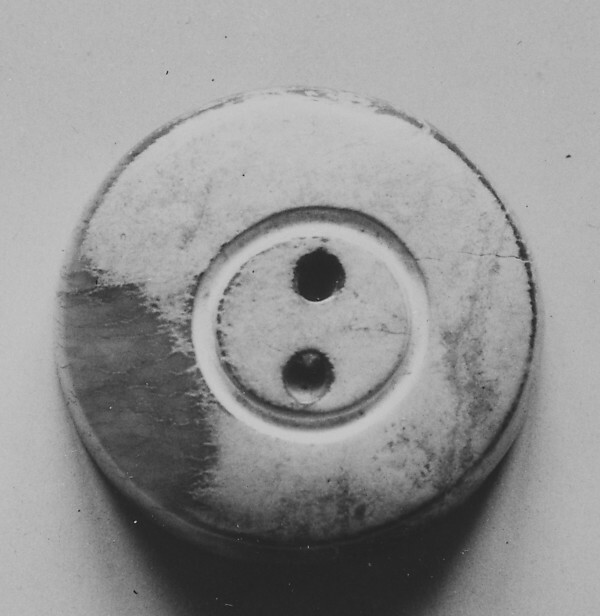 What struck me was the two small holes in the tang, indicating that the pommel was riveted on it looks to me. I don't doubt this construction method, I had just never seen it before. Does anyone know if this was common on Chinese, or Asian swords? Were there other kinds of swords that used this method? I think you only get this kind of fitting with Jade, which was used mostly with the bronze swords though continued to see use with high class swords in later years. The swords with pommels most commonly pinned/riveted through the tang appear to be early Central Asian sabres (e.g., the Charlemagne sabre has a pinned/riveted pommel) and ring pommel swords of the 1st millenium AD. Ring pommel swords like this include Japanese, Korean, and Chinese examples, especially those with iron/steel blades and bronze pommel (but some iron pommels as well; these are often permanently riveted to the tang before the grip is installed), Central Asian examples, and some European examples (many of the Vimose ring pommels were attached like this; see https://www.tf.uni-kiel.de/matwis/amat/iss/kap_b/advanced/tb_3_3c.html for some examples). Ah my mistake.. I was relying on the photos I have of bronze jian, which all have jade fittings. I don't know how pommels are attached to unpierced flat tang bronze jian. I guess the hilt is glued on, and the pommel (often jade) is wired/tied to the wooden hilt.